ThingSpan is the graph and data fusion platform, powered by Objectivity/DB, for discovering new intelligence at speed and scale. Click here for a 2 minute video overview of how ThingSpan can help you: Why Use ThingSpan? ThingSpan’s new DO query language is incredibly expressive, giving users a powerful new tool to easily query and manipulate new kinds of data in the graph. DO enables discovery of connections and insights that you may not have otherwise identified. Contact us to see a demo and learn more! Objectivity’s platform is a key component in several enterprise and government applications, such as management of real-time sensor data, complex manufacturing processes, security solutions, smart healthcare and smart grid management. 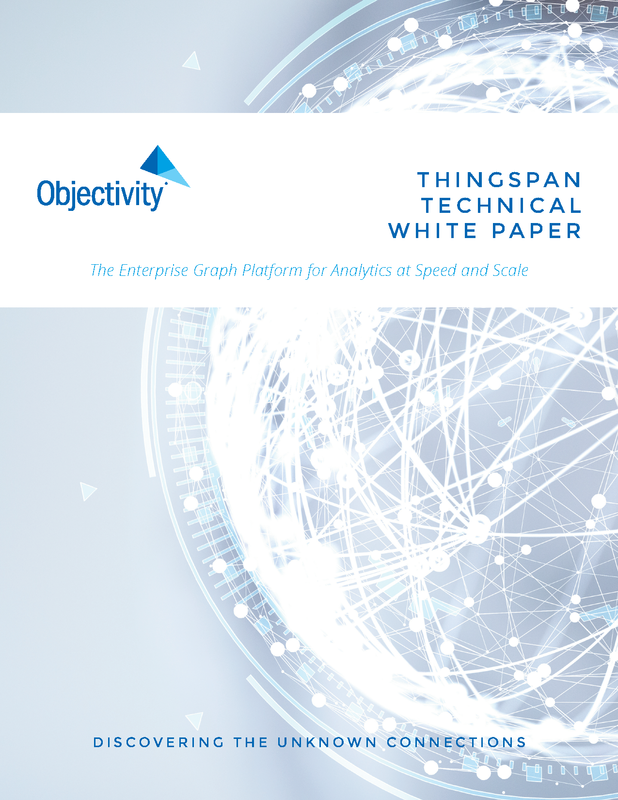 No matter the industry or complexity of the problem, Objectivity’s graph analytics platform can handle large amounts of all types of data, make it readily available for analysis, and find actionable business intelligence. A technically superior approach to application development. High availability with zero administration effort. 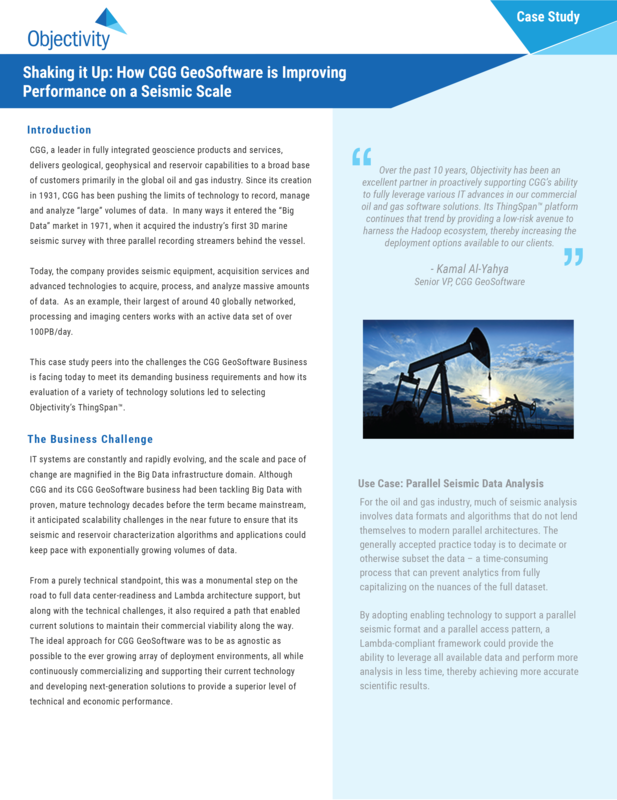 Superior performance helped us achieve the real-time data handling needs of our most demanding customers. Objectivity’s data management technology powers the MSC Apex modeling and simulation suite. The combined technology allows for efficiency gains as much as ten-fold.